The National Diabetes Audit has collected data from 2003-04 to the present day. 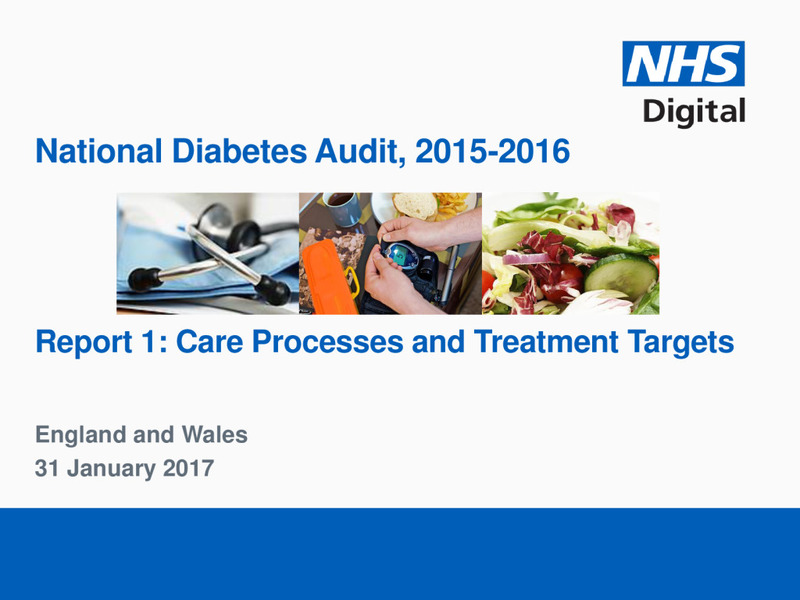 The latest publication reports on care processes and treatment targets for the audit period 1 January 2015 to 31 March 2016. The data is collected from primary care and specialist services in England and Wales; 82% of GP practices in England and Wales participated in the 2015-16 audit. Don’t miss out. Sign up to be notified when this resource is updated and to receive updates about other related quality improvement resources, events and news from HQIP. Or you can skip registration here. Thank you. Your download is now ready.